The Mystic Seaport Museum 22nd Annual Antique Vehicle Show, By Land & By Sea, will include about 100 pre-1932 vehicles for a delightful day of camaraderie and fun in the beautiful recreated Museum seafaring village. This is one of the many annual entertaining events at Mystic Seaport. Bring your camera and take advantage of a great opportunity to photograph motoring history. There will be conversation aplenty, lots of fun, and free rides for the visitors. 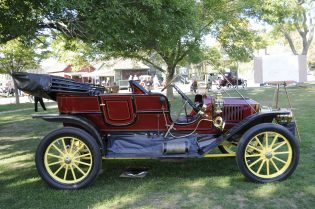 Cap off the day with the event’s annual finale, the Grand Parade of Vehicles, at 4 p.m. Get your camera ready as these old-time treasures line up and parade around the Village Green and then see the vehicles leave through the Shipyard south gate. It’s a sight to behold!